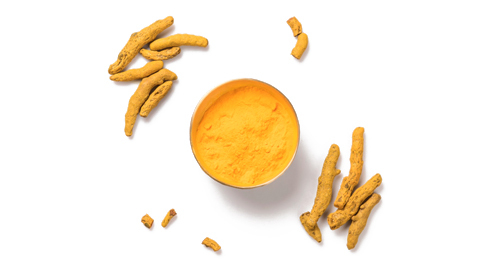 Turmeric, derived from the plant Curcuma longa, is a gold-colored spice commonly used in the Indian subcontinent, not only for health care but also for the preservation of food and as a yellow dye for textiles. Curcumin, which gives the yellow color to turmeric, was first isolated almost two centuries ago, and its structure as diferuloylmethane was determined in 1910. Since the time of Ayurveda (1900 Bc) numerous therapeutic activities have been assigned to turmeric for a wide variety of diseases and conditions, including those of the skin, pulmonary, and gastrointestinal systems, aches, pains, wounds, sprains, and liver disorders. Extensive research within the last half century has proven that most of these activities, once associated with turmeric, are due to curcumin. Curcumin has been shown to exhibit antioxidant, anti-inflammatory, antiviral, antibacterial, antifungal, and anticancer activities and thus has a potential against various malignant diseases, diabetes, allergies, arthritis, Alzheimer’s disease, and other chronic illnesses.